The 14th Annual Vets Fore Pets Golf Tournament was a wonderful success! The weather was beautiful, the camaraderie awesome and the golf was fun too. A Big Thank You to TD Bank for being a Beagle Sponsor as well as sponsoring a Golf Foursome! Go Girl Power, Team Halpern, First Place Woman’s Foursome! We appreciate that Dr. Rockford volunteers at Project Unleashed & sponsors a Golf Foursome every year! 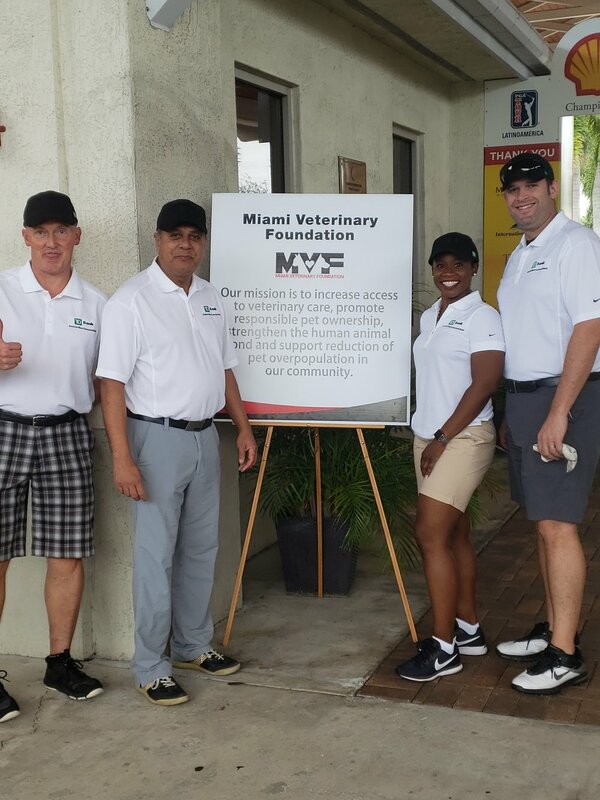 Dr. Ibanez is a Miami Veterinary Foundation past president, a University of Florida Alumni & supports the Golf Tournament every year! 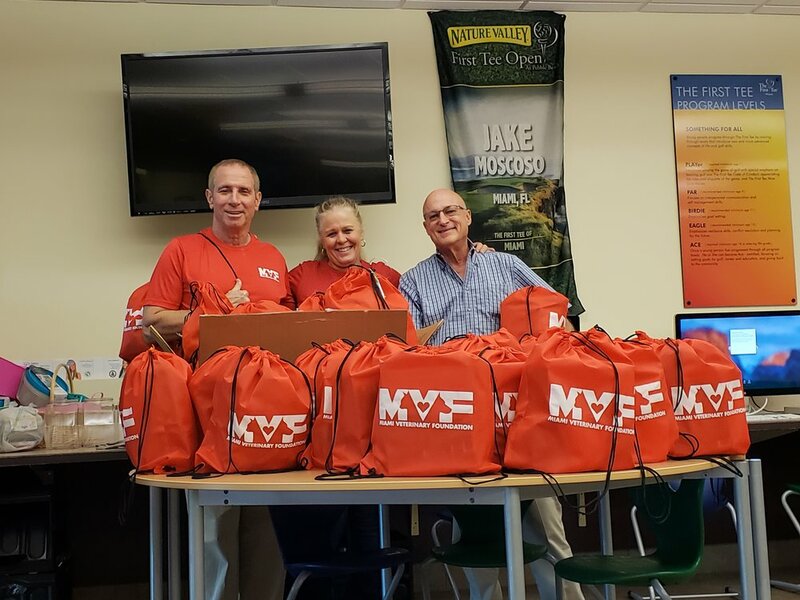 Dr. Lerner, Chris & Dr. Richter always have fun putting together the “swag bags” the day before the tournament. Team Registration for the Tournament! Board Member Ana Sanchez, Dr. Valderrama, and her friends Marushka & Georgia.. The Foundation is honored to be a contributing Member of the Deans Circle of Excellence. Dean Lloyd joined us at the banquet where he received the 2018 contribution. It’s been a great day, and everyone is having a great time!